Grandma Clara always made this cake for her husband Sam’s birthday. Now, Grandma Hazel makes the cake in their memory, along with her daughter Cheryl and as of recently Cheryl’s son Dan. Read more about it here. Watch the video here. Soak poppy seeds in milk overnight. Cream sugar and butter till light, and add poppyseed mixture. Cream again to combine. Stir together flour, salt and baking powder and add to batter. Fold in beaten whites. Divide between two greased nine-inch (23 cm) layer cake pans and bake at 350F (180C) for about 25 minutes until cake tests done. Cool on rack for 10 minutes and turn out of pan to cool completely. Combine sugar and cornstarch in a medium saucepan. Combine milk and eggs in a small bowl. Over medium heat, gradually add milk mixture to saucepan, stirring constantly, until it comes to a boil and thickens. Cool slightly, stir in vanilla and refrigerate, covered, until cold. Stir before using. Boil brown sugar, butter and milk together in a small saucepan, stirring constantly three minutes. Cool to lukewarm. Stir in enough icing sugar to achieve a spreading consistency. 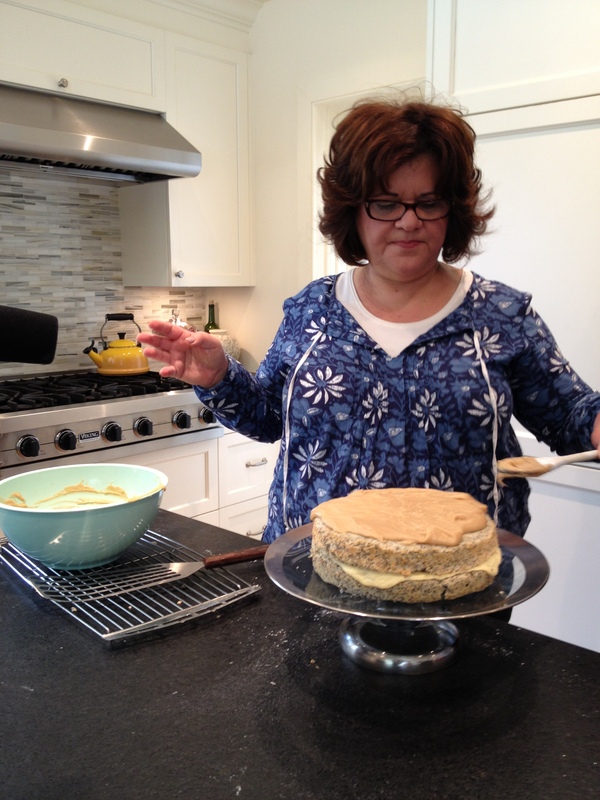 To assemble: Place one cake layer on a serving plate. Spread to edges with custard. Top with second layer. 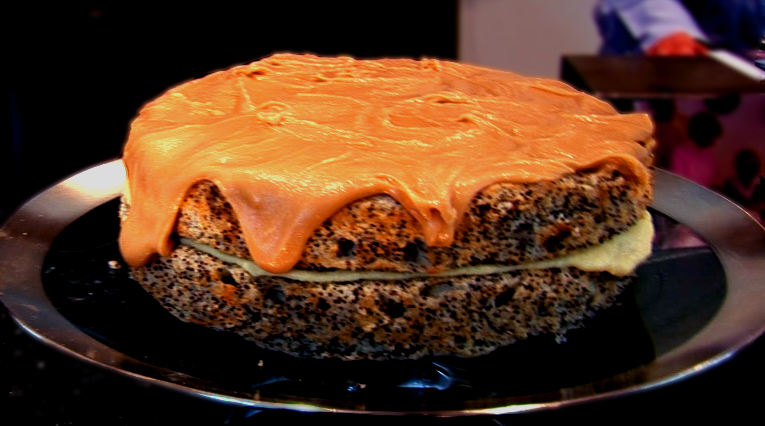 Top with caramel icing and allow it to drip over sides. Refrigerate. Remove from refrigerator about one hour before serving. My mom made a poppyseed cake with a custard filling and 7 minute frosting. I cannot find the recipe anywhere!! Can any one please help?